Born in Liverpool, England, an Australian citizen and a permanent resident of the USA Gary Ireland has been a resident, coach business owner and investor in the San Francisco Bay/Silicon Valley area for over 20 years. Gary holds an Football Industries MBA from the University of Liverpool and holds an “A” license coaching certificate from the Czech Republic Football Association and has conducted numerous camps and clinics throughout the world on behalf of clubs, leagues and federations. 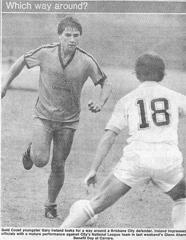 Gary arrived in the San Francisco Bay Area in 1990 from Australia after receiving an invitation to establish 'Academy Soccer', a premier soccer camp and tour company, which became the largest soccer camp organization in Northern California. 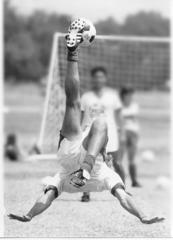 At that time he was a technical demonstrator for the Nike Vogelsinger Soccer Academy (where he later retuned to become the main technical demonstrator). Gary settled in Silicon Valley with his family where he heldped bring a 1994 World Cup venue to the area along with Chevron, becoming the first sponsor of the 1994 SF Bay area Local Organizing Committee to bring the event to Palo Alto. 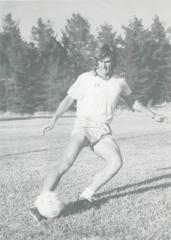 In addition to establishing PSV Union FC, Gary also was a co-founder of World Soccer Inc, a premier soccer travel, product and camp company which operated some of the largest camp organizations in Northern California and has led tours for coaches youth and college teams to Asia, Europe and Australia and hosted overseas teams and groups from Czech Republic and Japan. Gary also specializes in web 2.0/social media while maintaining his extensive global football through his consulting group Soccerbook Consulting. Gary is a co-founder of soccer social media site www.pass2me.com and Soccerbook.com and has several advisory roles in football organizations and technology companies. A renowned technical football coach and trainer, Gary Ireland has been a founder, promoter, coach, business owner mentor, advisor and investor in the San Francisco Bay/Silicon Valley area for over 25 years. He has advisory roles in football organizations and technology companies through his global soccer consulting company, Ireland Group, and in 2011 launched www.pass2me.com, a social networking site designed specifically for the global soccer community connecting the soccer ecosystem including players and college coaches. Gary was recognized by 'Advance', the global business network spanning 40 countries with one million Australians abroad, as being one of the ‘Advance 50’ current and emerging leaders honored at the Silicon Valley Summit in May 2012 for their contributions to the commercialization of Australian innovation dedicated to assisting Australian innovators, entrepreneurs and start-ups to commercialize and globalize. Before moving to the U.S.A Gary was best known as a personal assistant to the legendary Dutch coach Wiel Coerver and spent a season with Liverpool F.C coaching at the Liverpool FC Youth Academy. He is renowned for his ability to demonstrate the most complex technical exercises at a world-class level providing the best possible visual motivation for any young player who wishes to enhance their game at the highest technical levels. Gary was hired to demonstrate and team youth players in Dubai and the United States as a personal assistant to world renowned coaches Wiel Coerver and Hubert Vogelsinger who helped inspire Gary to created a unique curriculum designed to develop creative, entertaining and effective football players. in 2005 Gary co-founded ‘PSV Union Football Club with his wife Carine and brother Simon. His father Victor also coaches at the club. PSV Union FC is now considered one of the leading soccer clubs in Norther California. Gary is the Director of Coaching & Operations and sits on Executive board is one of only a handful of individuals in the USA that not only runs the administrative side of the club but also is fully responsible for all technical on-field activities ensuring the philosophy of long term development of players and coaches is maintained in order to develop technically, physically and tactically intelligent youth football players with exemplary training habits which correspond with their academic interests and abilities. Gary has helped grow the club to become one of most prominent in Northern California and is considered to be one of the finest developers of youth talent in the U.S.A, guiding and mentoring players on a daily basis to the USA and Mexican National youth and senior teams among other national programs as well as developing high level, NCAA college level talent. At PSV Union Gary coaches and trains all of the players in the club. He is responsible for recruiting and staffing, coordinating coaching assignments, facility usage and maintenance and game schedules & team rosters as well as providing a specific long and short-term coaching philosophy curriculum for all players and teams for over 2,500 team practices and 500 games per year. Off the field Gary is heavily involved with club management providing administrative assistance, website management and content, management and marketing, facility maintenance and ensures all State and Federal requirements are met. Favorite Players; Zidane, Platini, Gerrard, Van Basten, M Laudrup, Scholes, Keane, Savicevic, Maradona, Ejlkjaer, Stojkovic, Prosinecki, Cruyff, Waddle, Hoddle, Iniesta, Schuster, Pita, Devonshire, Quini. 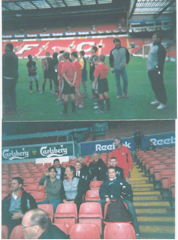 * Coached 3 youth teams from PSV Union on England tour vs.Liverpool, Chelsea, Blackburn. sightseeing & training & visit to Liverpool FC Academy. * Head coach for 50+ Japanese youth players to attend a soccer camp & English language lessons in the USA during the 1994 World Cup. Promoted & partnered with J- League team Hiroshima San Frecce & endorsed by FIFA. * Coached at Liverpool F.C as the only foreign coach at "The Academy' 2003. * Guest coach of Peter Horvath at MTK Budapest U12 team in Hungary 2005. * Commissioned by NorCal PDP to demonstrate a 2 hours coaching session for Technical Director of Fiorentina in 2008 for State Select players. 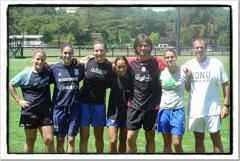 * Assisted NoCal PDP with promoting FC Porto Technical coach Pepijn Linders in Palo Alto, Danville and San Francisco, December 2008. * Tommy Sermanni- Current New Zealand Womens Team coach; Former USA & Australia Womens National Team , Canadian Womens National Team asst. coach. Former Coach Orlando Pride. * USC, USF, St Mary’s Chicago head coaches. 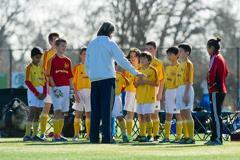 Operated the largest Residential and Day summer soccer camps in Northern California. Responsibilities included day to day camp operations, hiring and management of coaching staff, negotiating facility lease agreement, purchasing equipment, advertising sales. Designed and produced a series of 30 second Public Service Television and Radio announcements (PSA's) for CBS & NBC affiliates. Hosted World Cup-winning captain Bobby Moore to present the Man of the Match award for the USA vs Russia game in 1992. Personal liaison for Bobby Moore for 1 week. Coordinated half time show and 100 ball-persons for the event. Gary has played and trained with the following professional and semi-professional teams: FC Barcelona, Chelsea FC, Arsenal FC, Sparta Prague, Christchurch United, Brisbane Lions, St George Budapest (Australia), Glasgow Rangers, Dunfermline Athletic (Scotland), Walton & Hersham (London), Kingstonian (London), San Jose Oaks, Mt Gravatt (Australia) and represented the Gold Coast and Queensland State team at the senior level. Gary wrote his dissertation on: 'Creating and Exploiting Revenue Streams at Liverpool FC, Inter Milan and Chicago Fire'. Football Industry MBA graduates operate in all aspects of the game in over 40 countries and hold position with (amongst others): UEFA, FIFA Marketing, the English F.A, the Scottish F.A, the Football League, the Football Association of Wales, Irish Football Association, the Chinese Football Association, Latvian Football Association, Korean Football Association, Japan Football Association, Swiss Football Association, Football Association of Norway, the Professional Footballers Association; several clubs in Britain (including Arsenal, Everton, Leeds United, Celtic, Rangers, Liverpool, Manchester City, Manchester United. Fulham, Chelsea, Preston NE, Sheffield United; clubs and leagues in India, Russia, France, Brazil, China, Germany, Italy, Chile, Australia, Norway, Sweden and Turkey; the Norwegian Ministry of Sport; media and marketing companies such as IMG, Sport5, ESPN-Brazil, Octagon, Traffic, UFA, Zone Marketing, SportFive, Pass2me.com, and The Financial Times; and Deloittes in Britain and Brazil. Graduates have also founded and operated "Leaders in Football' and "Soccerex". Manager & Head Coach for 35 players and staff to Prague, Vienna and Budapest vs.Blsany, Slavia Prague, Admira Wacker & MTK Budapest youth boys teams. Manager & Head Coach England for 3 USA youth club teams; vs. Liverpool, Chelsea, Blackburn. sightseeing & training & visit to Liverpool FC Academy. 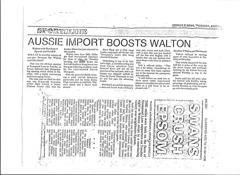 Raised $12k for travel expenses from Molsons/Fosters for San Jose Oaks to play in US Open Cup Final (Champions) in Indianapollis 1992. Conceptualized and managed collaborative project with the Japanese Travel Bureau (JTB) & FIFA for 50+ Japanese youth players to attened a soccer camp, take english language lessons, sightseeing in the San Francisco Bay Area during the 1994 World Cup. Promoted and partnered with J- League team Hiroshima San Frecce end endorsed by FIFA. Head Coach World Soccer Inc. Coached 100-200 players per week and managed 15 staff annually over 8 year period in the San Francisco Bay Area from 1992-2002. Guest coach at MTK Budapest U12 team in Hungary 2005. 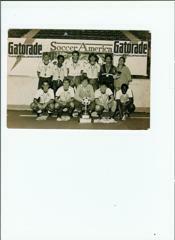 Manager of Union FC Womens Professional Soccer League team 2005. Finalist Las Vegas ‘Silver Mug’ National women's tournament. Arranged all travel expenses for international playing staff as well as funded enture travel budget for 18 players, 4 staff. 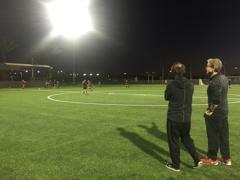 Managed and Coached PDP State Tryouts in Palo Alto for over 120 players and 10 staff.